Up in the hills above Clarig in north-west Scotland where Alison Campbell and her family lives, lies a loch with an ancient legend about a witch. 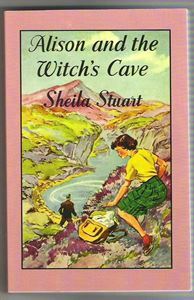 One day Alison and her friends go to the loch for a picnic and to explore the witch’s cave but while there they see a man acting in a very suspicious manner. There have been other mysterious events and Alison and her brother Niall decide to find out what is going on, especially as their uncle is also behaving rather oddly. As they uncover the truth, they discover that there is an unexpected connection between the mystery and the witch’s cave.